PRA(Production and Revenue Accounting):-Payment Process. Go to the Tcode O3UCW_PAYMENT_RUN. Fill the mandatory fields Run date, Check Date, PP Name (Identification), run type (Primary / Secondary) as below. 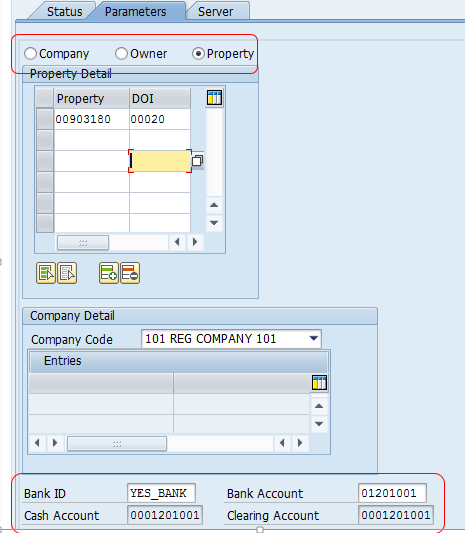 Enter the run parameters like PP level (Company/Owner/Property), Company code and bank details as below. Choose the existed server from server tab. Just save the run and don’t start the Check write process from here otherwise it will process the Run in background though we have to wait until completed also not able to debug. 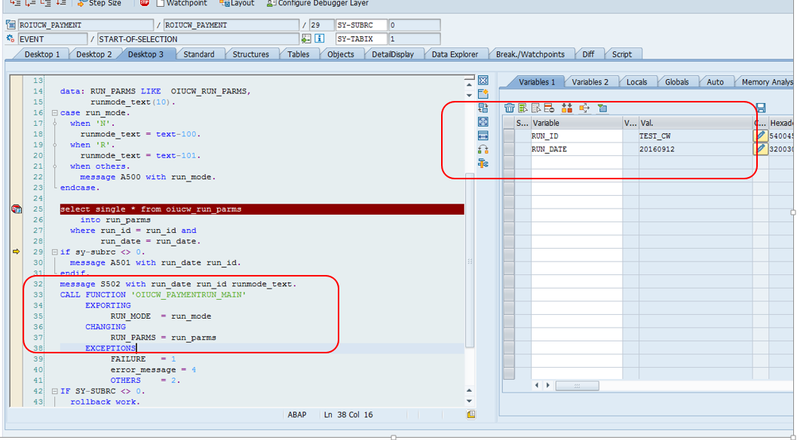 Go to the program ROIUCW_PAYMENT and enter the above run Id parameters though debugging mode as below. Debug the above FM OIUCW_PAYMENTRUN_MAIN to initiate the Check write process.